DETROIT -- General Motors lowered its forecast for U.S. and global sales this year, saying the lowered assumptions will push it to make tougher operational decisions. The new estimate for U.S. sales is 10.5 million, GM said in a statement today. As part of its viability plan submitted to Congress last month, the automaker had projected sales in the 10.5 million to 12 million range. The automaker must show by Feb. 17 that it is able to meet conditions in a package of $13.4 billion in rescue loans granted by President Bush. GM has received $4 billion so far and is scheduled to receive another $5.4 billion tomorrow. GM also said global sales would fall to 57.5 million vehicles this year, down 6.3 million from the previous forecast, and lowered its projections for global industry volume through 2012. Wagoner, COO Fritz Henderson and CFO Ray Young presented an update on GMs restructuring efforts today at a Deutsche Bank conference for auto analysts in Detroit. On a global front, Henderson told analysts that his big focus is on monitoring European cash levels. GM has been shifting product mix toward smaller cars and raising prices in the United Kingdom, its biggest European market. We feel very good about our product cadence in Europe, Henderson said. Various European governments have offered to discuss financial assistance for GM, Henderson said. But GM wants to make sure if it accepts money, the financing fits with the long-term viability plan. Henderson said GMAC Financial Services is in a stronger position to provide financing to GM dealers this year. But GM had to surrender much of its 49 percent stake in the finance arm in order for it to win holding company status and get access to the federal funds. Henderson said it was worth it. My feeling is that 49 percent of a finance company that cant finance itself doesnt hold much value, Henderson said. While GM still expects weak fleet and retail sales during the first quarter, he said dealers report showroom traffic is improving. GM lease penetration was about 5 percent at the end of 2008. Henderson said lease penetration at GM will remain low this year. GM did not release its rate of cash burn. In an interview late last year with Automotive News, Wagoner indicated it had dropped back to the $1 billion a month from $2 billion a month during the volatile third quarter. GM is talking with its various stakeholders including the UAW, Henderson said. When asked if attaining labor cost parity with foreign automakers would require a UAW wage cut, Henderson said no. Wagoner said all GM stakeholders must make sacrifices in the survival plan. Wagoner said that is more than what other recipients of government funding have been required to take. DETROIT – General Motors today provided an update on company restructuring efforts included in the viability plan submitted to the federal government last month, and announced more conservative industry volume planning assumptions to ensure the viability plan is successful even in the most challenging of markets. 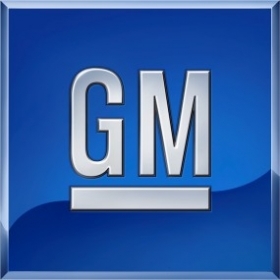 The updates were part of a comprehensive review of GMs global business by Rick Wagoner, chairman and CEO; Fritz Henderson, president and COO; and Ray Young, executive vice president and CFO; at the Deutsche Bank 2009 Auto Analysts Conference in Detroit. In light of the ongoing uncertainty of global market conditions, GM is adopting more conservative industry volume assumptions than those presented to Congress. For liquidity and viability planning purposes, GM will assume 2009 U.S. total vehicle sales of 10.5 million units and global sales of 57.5 million units. The initial plan included a downside scenario of 10.5 million U.S. sales in 2009, with a baseline scenario of 12 million sales. GM also revised downwards its assessment of global industry volume assumptions for 2010-2012 for liquidity planning purposes. GM said that lowering the assumptions on U.S. and global industry volumes will drive tougher operational decisions that will result in a more robust viability plan, one that better positions the company for long-term growth as the auto market recovers. GM said it would continue to refine its plan in response to changing market conditions. GMs detailed Restructuring Plan for Long-Term Viability was presented to Congress on December 2, 2008, and it formed the basis for the loan agreement with the U.S. Treasury signed on December 19. An updated plan is due to the Presidential designee on February 17, 2009.